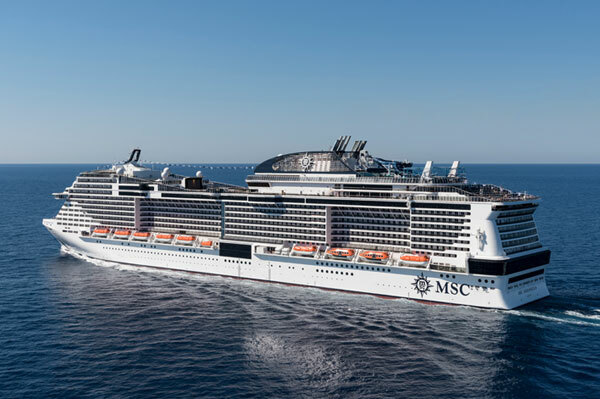 MSC Cruises’ MSC Meraviglia officially made its maiden call at the port of Hamburg April 29, marking the start of its new season in Northern Europe. MSC officials also announced that the new MSC Grandiosa will be christened in Hamburg on Nov. 2, 2019. “We are delighted to announce the christening of MSC Grandiosa here in Hamburg. Since our last christening in Germany of MSC Magnifica in 2010, we have, as a company, embarked on a journey of strong growth, and the German cruise guest has embraced our brand and our offering in a strong way. It is only natural that we would look to christen in Germany our next flagship and the first of the Meraviglia-Plus ships to come into service, MSC Grandiosa,” said Pierfrancesco Vago, executive chairman of MSC Cruises. This summer, MSC is opening up Northern Europe to even more cruise guests and, with the addition of MSC Meraviglia, is offering four ships, 36 different itineraries and six possible embarkation ports across Germany, the United Kingdom, France and Denmark. Itineraries have been developed to offer guests more time ashore to explore all of the sights with extended and overnight stays in key ports. Designed for all seasons, MSC Meraviglia will spend its first season in Northern Europe offering world-class entertainment with Cirque du Soleil at Sea, a wide choice of dining options, serving a range of international and Mediterranean-inspired cuisines, and a Mediterranean-style promenade featuring multiple bars, restaurants and shops. Homeporting in Hamburg, the ship offers 10-, 11- and 14-night itineraries that include the British Isles and Iceland, or the North Cape and the Norwegian archipelago, Spitzbergen. In September, an 11-night itinerary takes guests through the Baltic Capitals of Oslo, Nynashamn/Stockholm, Tallinn, and Helsinki with an overnight in St. Petersburg.